Quarter-final Thursday at the 2017 World Under-17 Hockey Challenge produced a pair of victories for Canadian teams at the tournament, giving Canada’s Red and White squads a chance at gold heading into Friday’s semi-finals. The first quarter-final to feature a Canadian team saw Canada White dominate the second and third periods of their contest against Finland, winning by a 5-1 final. 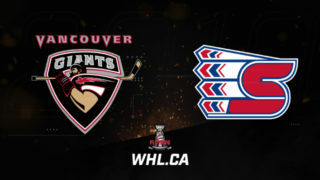 Taylor Gauthier (Prince George Cougars) made 27 saves, including saving all 16 shots in the final two periods to help his team advance to the semi-finals. Finland scored 97 seconds into Thursday’s game, but a Canadian goal 13:04 into the period tied things up after 20 minutes. In the second, Canada scored another pair of goals and added two more in the third to round out the scoring. Captain Braden Schneider (Brandon Wheat Kings) leads all WHL players on Canada White with two points (1G-1A) through four games. The fourth quarter-final of the day featured an all-Canadian battle, with Canada Red prevailing over Canada Black by a 4-3 score. Canada Red jumped out to a 2-1 lead after 20 minutes thanks to two goals in a 2:46 span. The first Canada Red goal featured assists from captain Peyton Krebs (Kootenay ICE) and Rhett Rhinehart (Prince Albert Raiders). On Canada Red’s second goal, Krebs picked up his second assist of the contest with WHL Rookie of the Month Dylan Cozens (Lethbridge Hurricanes) also factoring into the tally. Down 2-0, Canada Black got themselves back into the game 28 seconds after Canada Red’s second goal. 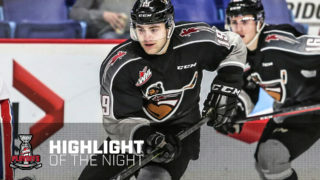 Captain Sasha Mutala (Tri-City Americans) got his team back into the game, with assists from Matthew Robertson (Edmonton Oil Kings) and Kirby Dach (Saskatoon Blades). The lone goal of the second period evened up the score in the game as Robertson scored his first of the tournament on the power play, with assists from Mutala and Dach. That game-tying goal didn’t deter Canada Red in the third period, who went ahead 3-2 just 49 seconds into the final period on a goal assisted once again by Krebs and Cozens. 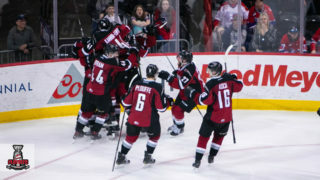 The game-winning goal featured a primary assist from Cozens and a secondary assist from Krebs, giving the first-overall selection from the 2016 WHL Bantam Draft four points in the game and Cozens’ three points to his credit. Down a pair of goals, Canada Black responded with a late goal from Mutala that was assisted by Jacson Alexander (Swift Current Broncos), though they’d ultimately fall a goal short. Nolan Maier (Saskatoon Blades) made 29 saves in the loss. 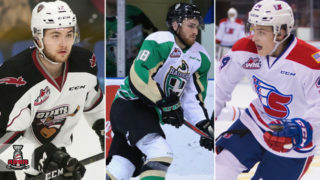 While they won’t get a chance to play for a medal, the efforts of Dach and Robertson are worth noting as they represent two of Canada’s top three scorers across all three clubs with six and five points respectively through four games each. Mutala is in a five-way tie for the tournament’s goals lead (5). Dach leads the tournament with five assists. In net, WHL goaltenders are making a name for themselves as well. 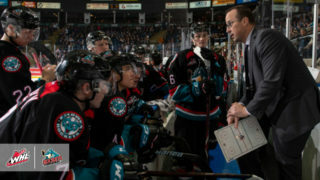 Canada Black goaltenders Maier and Roman Basran (Kelowna Rockets) have the lone shutouts in the tournament. Basran and Canada White’s Gauthier lead the tournament in SV% with figures of 1.000 and 0.952 respectively. Maier is also high on that list with a .917 SV%, good enough for the fifth-best figure in that statistical category. In regards to goals-against-average, Basran once again leads the way, having yet to allow a goal for Canada Black. Gauthier sits second among all goaltenders at the tournament with a 1.34 figure through three games of action. Maier sits eighth among all goaltenders with a 3.02 goals against average. Friday’s action at the tournament will once again feature all three Canadian teams in action, with two still keeping their golden hopes alive. In the first semi-final, Canada Red will battle the Czech Republic at the North Peace Arena in Fort St. John, B.C. while Canada White will take on the United States at the Encana Events Centre in Dawson Creek, B.C. in the other semifinal. Canada Black will take on Sweden in a placement game. Finland and Russia will meet in the other placement game to wrap up their respective tournaments. 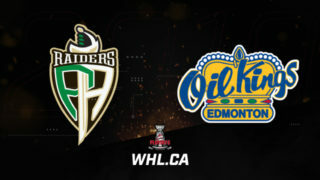 TSN and RDS, the official broadcasters of Hockey Canada, will air the semifinal from Dawson Creek and the bronze- and gold-medal games; please check local listings for details. For more information on the World Under-17 Hockey Challenge, please visit HockeyCanada.ca or follow along via social media on Facebook and Twitter.